At first glance reading The Crucible with 11th graders in southern California would seem like a thankless task that only someone foolish enough to become an English teacher would even think to attempt. A play written in the 1950’s, set in Massachusetts of the 1690’s, and laced with archaic vocabulary, about the conflicts of a very restrictive society. Why would this interest students? The play is also heavy with inference, dramatic irony, multiple complex characters with conflicting motivations and choices to make. It’s easy to assume students won’t “get” the play and that they will necessarily need to read or review every bit of it in class with a teacher to explain it to them. But, I’m not coming with them to college in future years to explain any of that reading to them. My job is to make sure they get better at reading and parsing complicated texts for themselves. That skill will be more valuable to them than having detailed (and likely soon forgotten) knowledge of the significance of a poppet in Act II. Therefore, I began the play with a four act plan for gradual release of responsibility. This is how it worked. In Act I, most of the major characters are introduced and most of the major conflicts are also revealed. We read this act together as a class with volunteers reading the parts in the play. I performed the quintessential English teacher role. 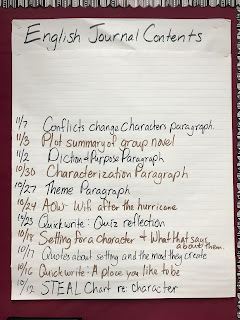 I stopped the flow of their reading as often as possible to ask clarifying questions, probe character motivations, explain significant vocabulary (even though it was also posted on the wall) had them take notes about the characters, and generally make sure they knew what was going on. This took us five days of class. Along the way I was asking them to respond in writing to daily warm up questions about the characters and the conflicts that were being revealed. On Friday their warm up question changed. “What kinds of questions has Mrs. Roberts been asking you while we read the play this week? Make a list of as many as you can.” When they had some time for their individual lists I asked them to talk to their partners about what they listed and I wandered the room listening to their questions and handing out markers. When I heard a good question I gave the student a marker and had him or her add it to a chart. 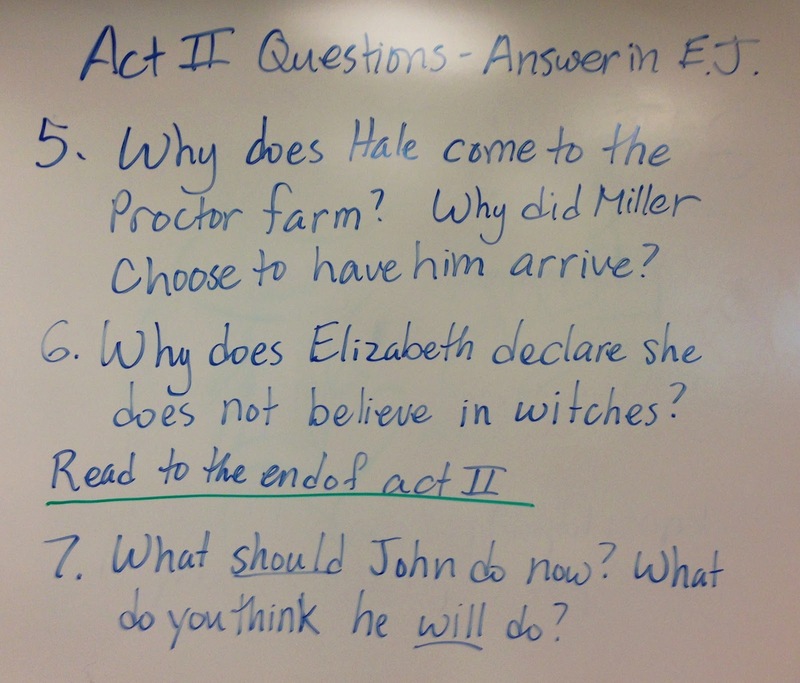 From that I learned that they perceived I was asking many character driven questions, so I tried to focus on other aspects of the play as we finished Act I. We were approaching Act III, where Elizabeth Proctor must make the fateful choice to tell the truth or lie about why she dismissed Abigail from her service. It is a moment rich in dramatic irony because Elizabeth does not know that her husband, John, has already told the court the real reason they fired Abigail. It is pivotal to the play and also a complex moment of conflicting motivations and dramatic irony. Would students be able to get this? I had to find a way to help them. Students returned to their groups to read Act III. This time I gave them no questions. I required that each group create questions of their own as a group and answer them. They had moved from teacher questioning, to teacher giving them written questions, to writing their own questions for the Act. 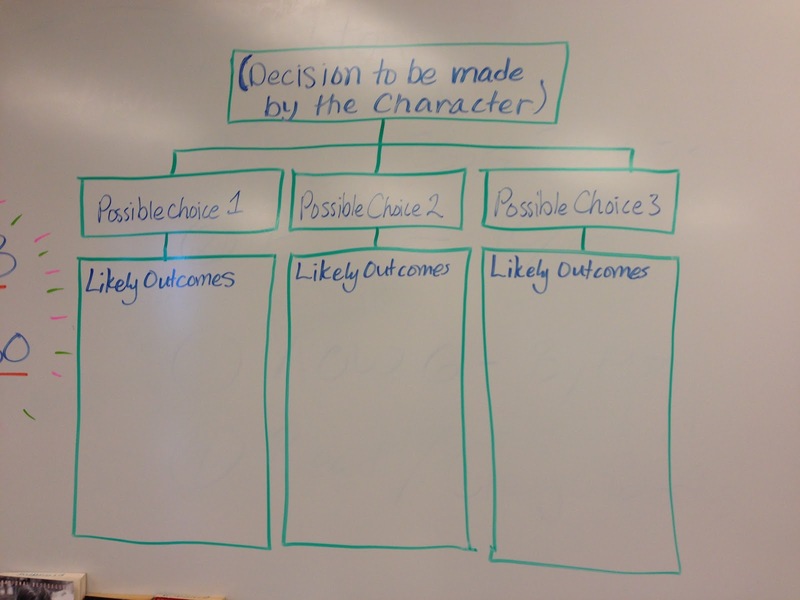 When they finished Act III I asked them to work as a group to create a decision tree for Elizabeth like the one we made for John. All groups, after much discussion among themselves, were able to show what would happen if Elizabeth told the truth and if she lied. My students were quite pleased with themselves. I decided to sneak in some expository writing. For homework I asked them to write me an explanation of Elizabeth’s possible choices and the consequences of those choices. 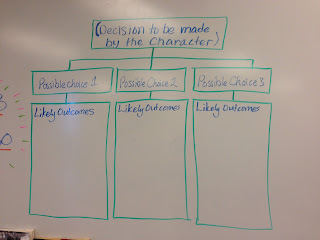 The work they had done in their groups prepared them for the writing and they felt successful explaining the complicated layers of dramatic irony that made her choice so difficult. By Act IV I gave them hardly any direction at all. I asked them to read it. I asked them to make sure they were stopping often to have conversations and I sent them off. Once again I circulated, listening to their great conversations, stopping to answer a question here or there. Near the end of the period I heard a student say to his group, “You know, if we each read the rest of Act IV tonight at home, we could spend all of our time together in class tomorrow just to talk about it.” I had to walk away so they wouldn’t see me smiling. It takes a lot of planning to make sure that my students are engaged in our classroom. Lea said, “Mrs.R you just have everything organized so that we can do the work. 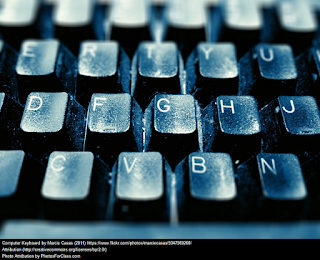 I like that.” I believe students want to be active learners. They want to figure things out for themselves. They liked The Crucible because they had to make sense of it without a teacher telling them what every little bit meant. They made meaning for themselves and once you make something yourself you want to hang on to it. Will they remember the fine details of The Crucible in ten years? Probably not, but I think that’s true no matter how the text is taught. Will they feel more confident about tackling complex texts? Maybe. I’ll know for sure after they work their way through some Twain, Poe and Fitzgerald.